The earthquake that occurred in North Texas in the wee hours of the morning was the 8th quake in 5 weeks for that same area. I think we call that a cluster. Gas Patch residents who live in zones of extraction should routinely document the condition of their foundations and walls. This documentation may be important one day for a class action suit like the one in Arkansas. Update: Charts from a reader. Are these near fracking sites or injection well, or perhaps both? 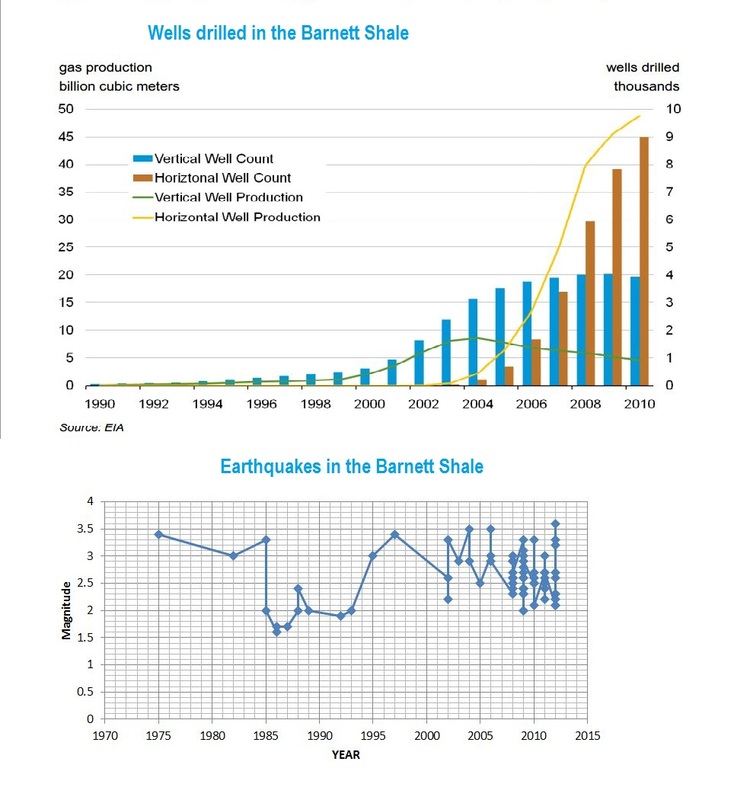 It would sure be interesting to get a glimpse of the production logs from some of the O&G wells in area surrounding those quakes. We do know that earthquakes can cause an up-tic in production in oil wells; but that’s essentially all we know at this point. It seems like the injection well operators there in Cleburne might now be getting things truly “dialed-in”. Somewhere right between 2.5 and 3M seems to be just about right. Once or twice a week seems to work fine. I hope I’m wrong. I hope these induced seismic events are not being induced intentionally. I hope you’ve seen the last of this sort of thing there in N. Texas and throughout Gasland. And I hope the Israelis and Palestinians can patch up their differences soon also. After all, it’s a small world.